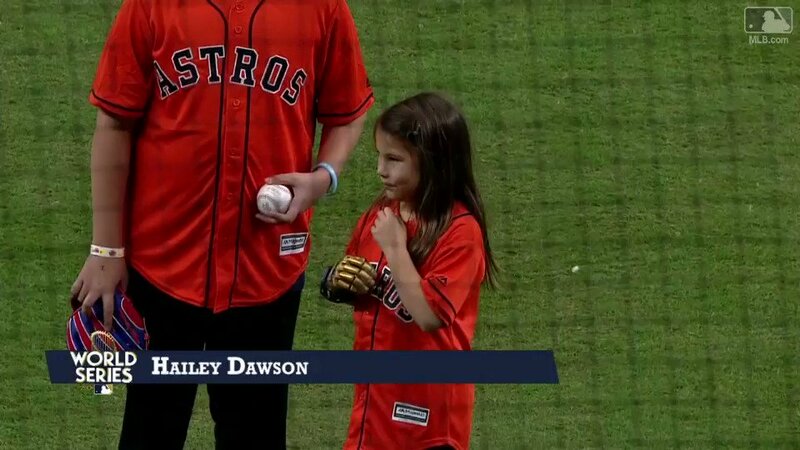 Hailey Dawson is already a veteran of tossing the ceremonial first pitch at the ripe old age of seven. She’s got two Major League games under her belt and is about to add a third, with her biggest audience yet, as she kicks off Game 4 of the World Series in Houston. Dawson is in the midst of a 30-ballpark tour, throwing the first pitch for every MLB team, with the aid of a 3D-printed prosthetic hand created by a research team at the University of Nevada, Las Vegas. Dawson was born with a rare condition called Poland Syndrome, which left her missing three fingers on her right hand. But prosthetics are traditionally extremely pricey, and many insurance plans won’t cover the $25,000+ to supply them for children, deeming them “unnecessary,” unlike a leg. Children quickly outgrow the devices and the cost starts to add up. It’s a hole in the healthcare system that has been tackled by a number of groups in the 3D-printing industry, including not-for-profits like the Open Hand Project. Using a 3D printer to create a customized 3D-printed hand or arm dramatically reduces the manufacturing cost and allows for much easier part swapping, should something be broken or its wearer just grows out of it. It also offers kids the ability to customize their arms, like that Iron Man kid a few years ago, or, in Dawson’s case, the colors of the team she’s visiting. She’s getting a custom hand for tonight’s game as well, but UNLV’s not showing off whether it’s Dodger blue, Astros orange or something else a bit more neutral. First pitch airs tonight at 5:09 P.M. PT. Update: Hailey arrived decked out in Astros orange, and caught the corner of the plate to raucous applause from the crowd in Houston.